(note that just using the postcode will direct you to Morayston Farm - we are the next turning along on the A96 and there is a white 'Highland Campervans' sign at the bottom of our drive. The two main driving routes to Scotland from the south are via the east of England on the A1, or via the west using the M6, A74(M) and M74. Both the RAC and the AA offer route-planning guides on their websites to help you plan your journey. From Glasow and Edinburgh allow 3½ hours to reach Inverness. The A9 is the main trunkroad to the Highlands and can be busy (for Highland roads!) at times, so make sure you allow time to stop and take breaks to enjoy the scenery as you drive north. 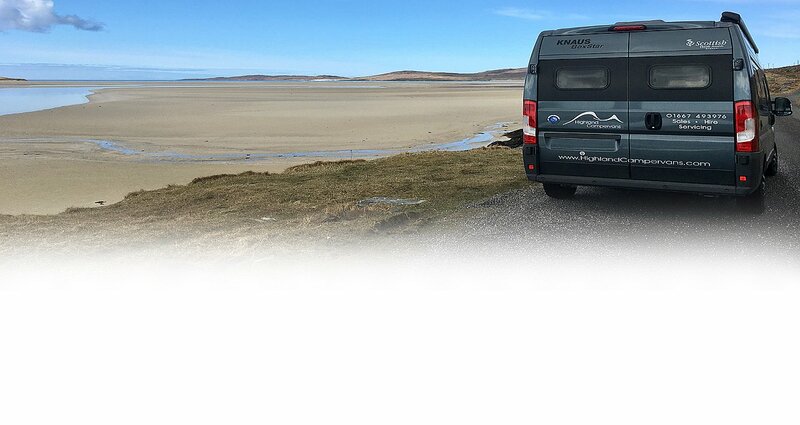 If you already live in Scotland and know the area, then Highland Campervans is based on the edge of Inverness just along the A96 near Inverness Airport. There is a road sign to Kerrowaird on the A96. We are one field along from the 'Cloud Factory' - (known in real terms as the Norbord Factory). If you pass the factory on your left coming from Inverness our entrance is approx 800 yards on the right hand side. Look for a big white sign. Many ways to get here! 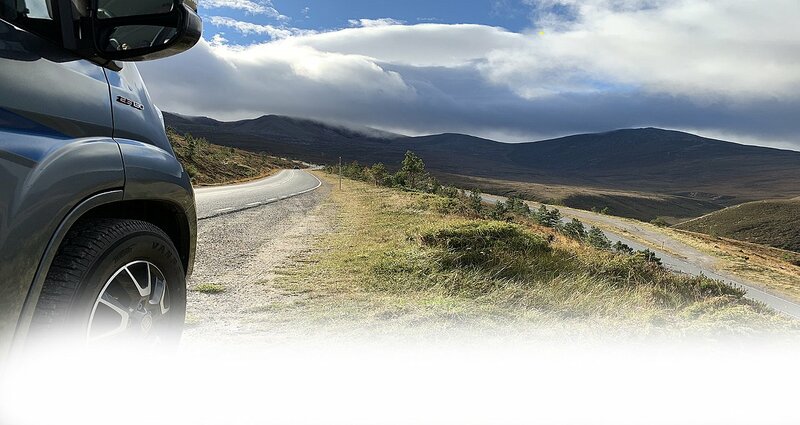 Inverness has excellent transport links and it is very easy to get here, from all over the UK and overseas. However you arrive, be it rail, coach or air, we will endeavour to meet you at the nearest suitable location and arrange transport to our showroom. 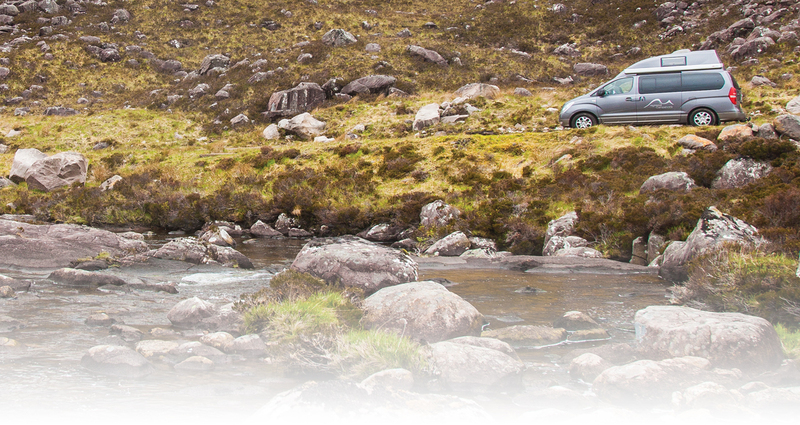 Inverness Airport is just 9 miles from Inverness City Centre and only a 3 minute drive from Highland Campervans base. Scheduled flights operate between Inverness and London Gatwick, London Luton, Heathrow, Belfast, Birmingham, Bristol, Manchester, Stornoway and Benbecula in the Western Isles, Kirkwall in Orkney and Sumburgh in Shetland. There are also international flights between Inverness and Amsterdam. Check out the Travel Links section for the website details and phone numbers for each of the airlines. East Coast trains depart from London King's Cross and run up the east coast via Peterborough, York and Newcastle to Edinburgh. Journey times from London can be as little as 4½ hours to Edinburgh. The main long-distance service to Scotland that doesn't originate in London is on Cross Country trains which come direct from Plymouth to Edinburgh via Birmingham. If you would prefer to travel through the night, there is also a direct overnight rail sleeper from London Euston to Inverness run by Scotrail. National Express, Citylink and The Megabus both run coach services from all over the UK to Inverness. Journey times depend upon the routes taken and the day of the week, but if you're on a budget, the Megabus is a very inexpensive option to get here with fares from as little as £5.50 for journeys from Edinburgh to Inverness. The Number 11 Stagecoach bus service between Inverness and Aberdeen passes by the bottom of our drive - you can ask the driver to stop and let you off.